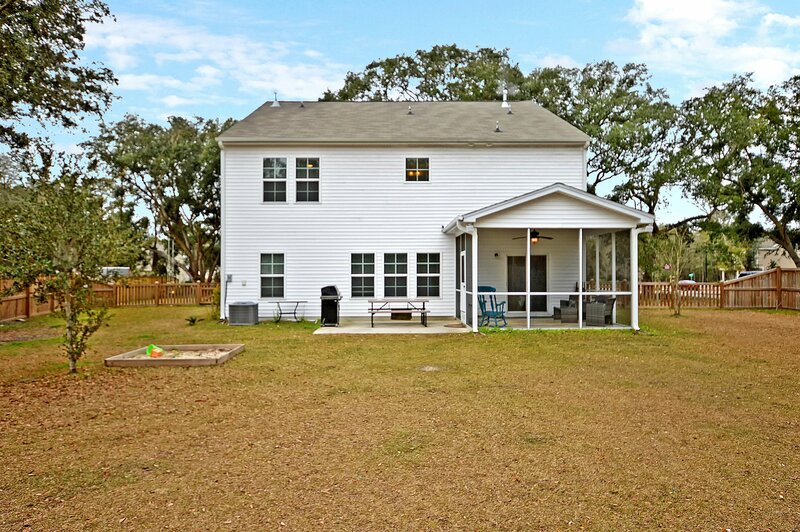 Welcome home to 1607 Stovall Court. 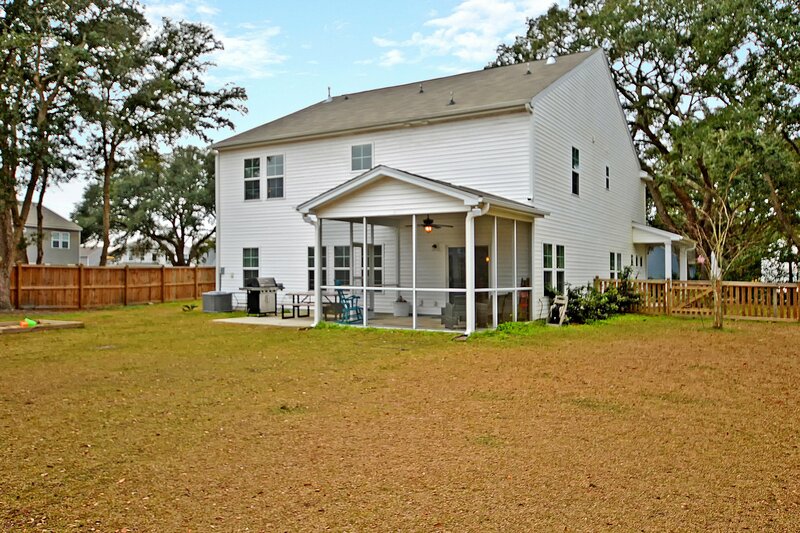 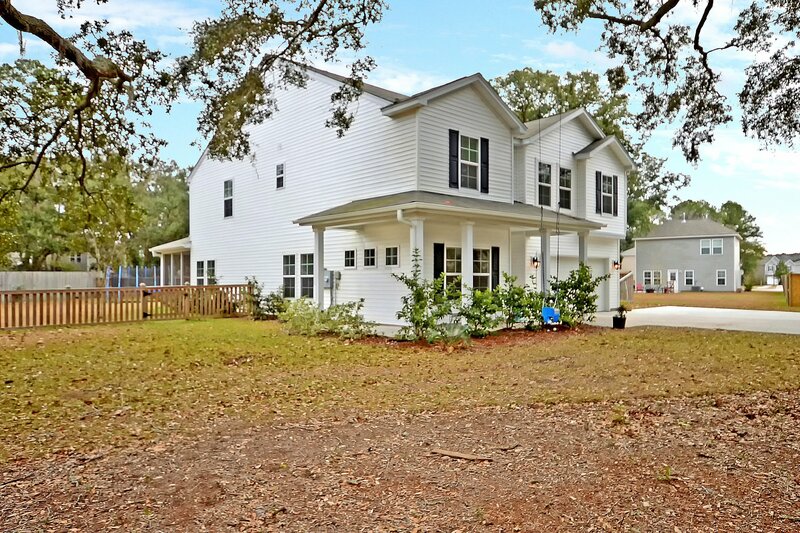 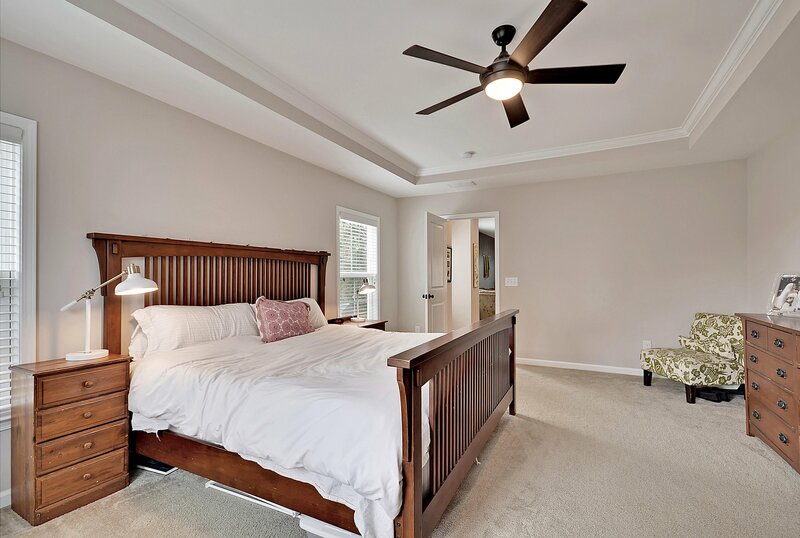 This  Bedroom  Full Bathroom home is a perfect marriage of newer construction and so much that makes Johns Island a beautiful place to call home. 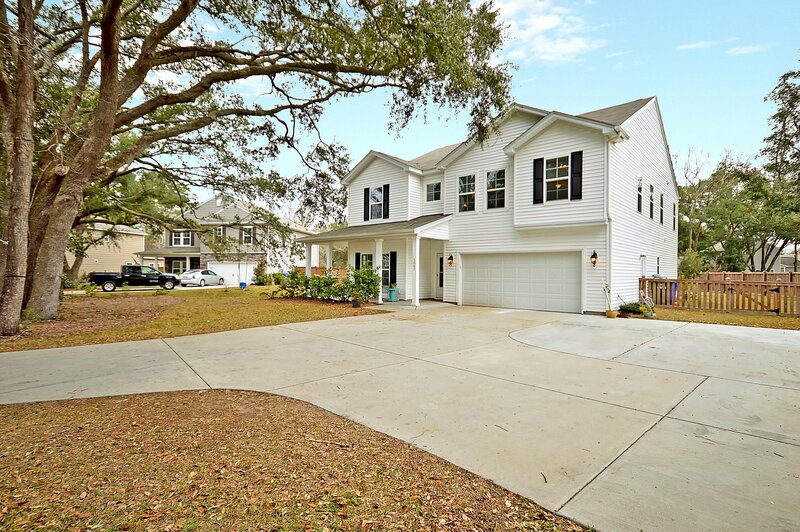 As you arrive home each day, your extended winding driveway leads you back to this picturesque house sitting nestled in a cul-de-sac on a half-acre lot behind mature oaks. 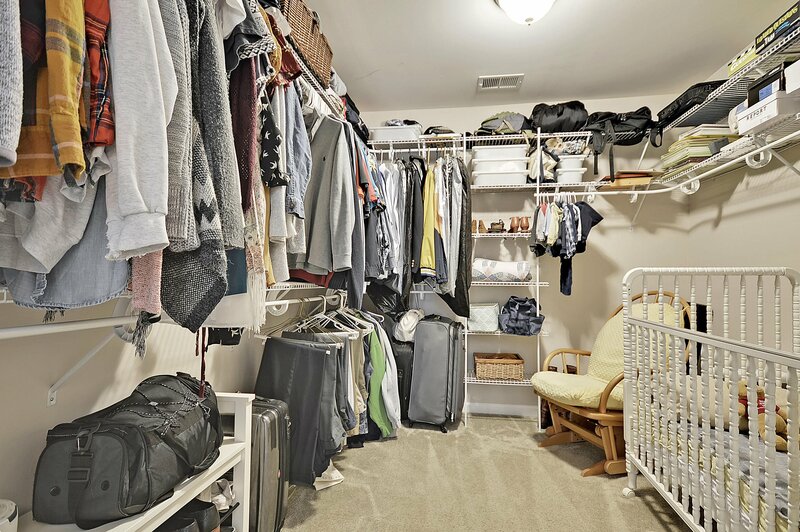 If your parking needs require space for multiple vehicles, the 2-car garage and widened concrete pad--with room for 3 cars across--can handle that. 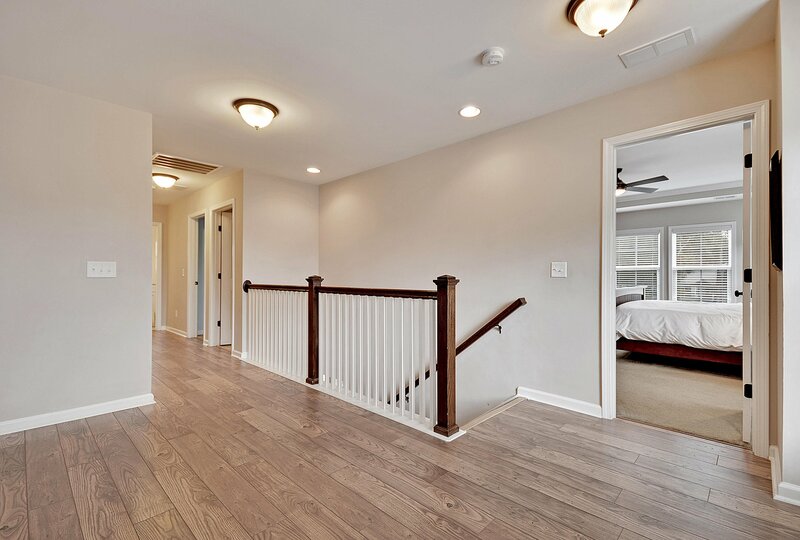 Upon crossing the threshold, your eyes will be captivated by how luminescent the house is as the natural light bounces off the light wood floors and is complimented by the custom light fixtures with Edison-style bulbs. 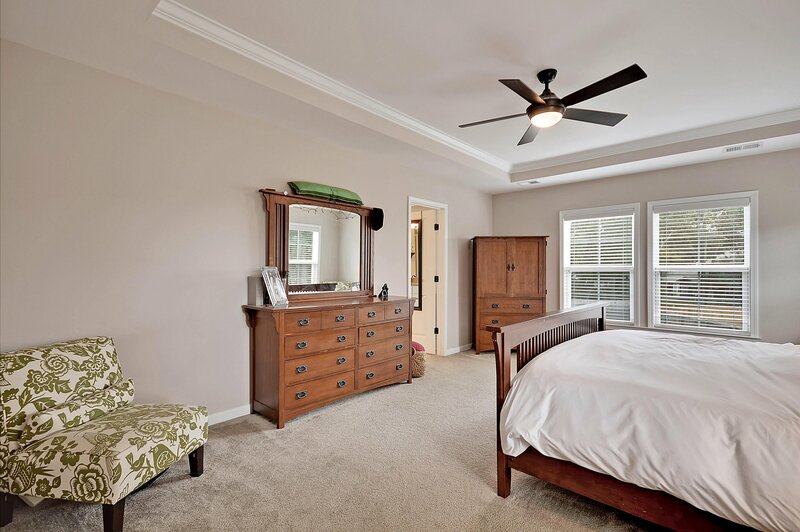 Just off the entrance is your home office sitting behind glass-paned French doors. 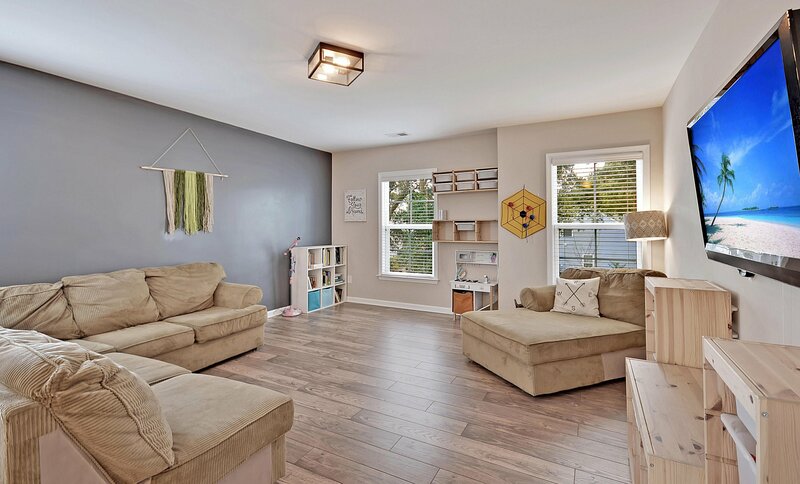 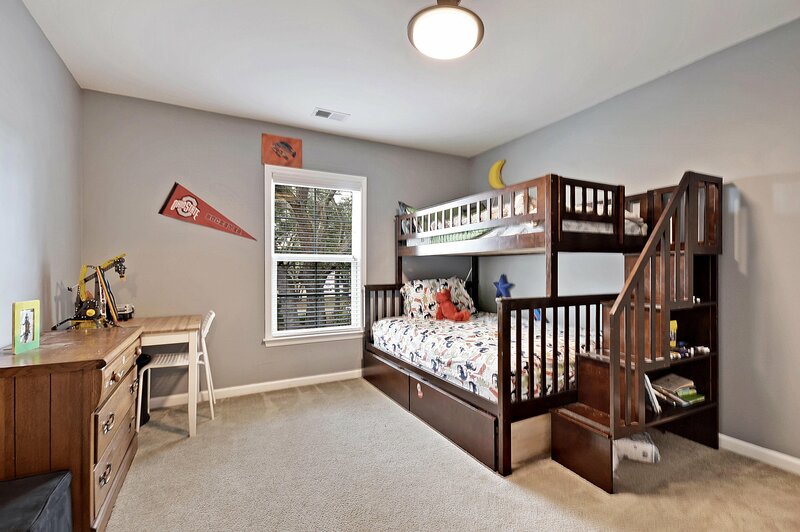 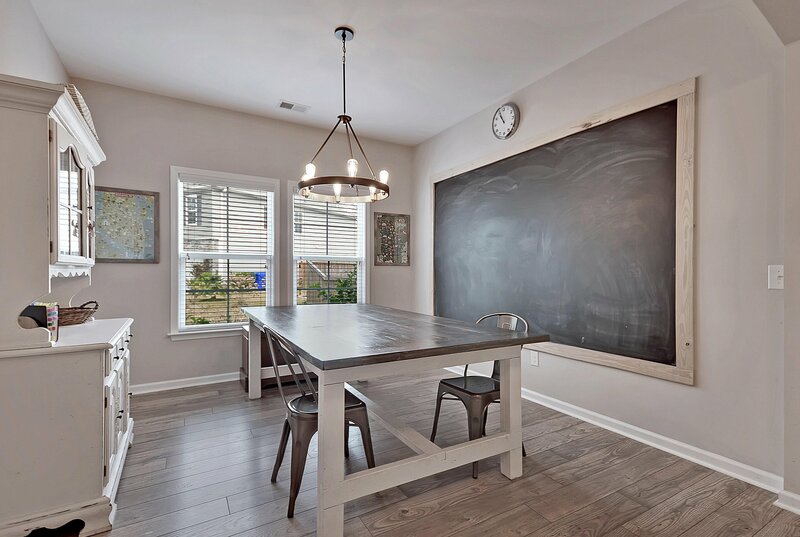 Next is your separate dining room that can double as your homeschool classroom or host the game night due to the "framed" chalkboard wall - perfect for lesson planning, score keeping, or 103 Tic-Tac-Toe games. 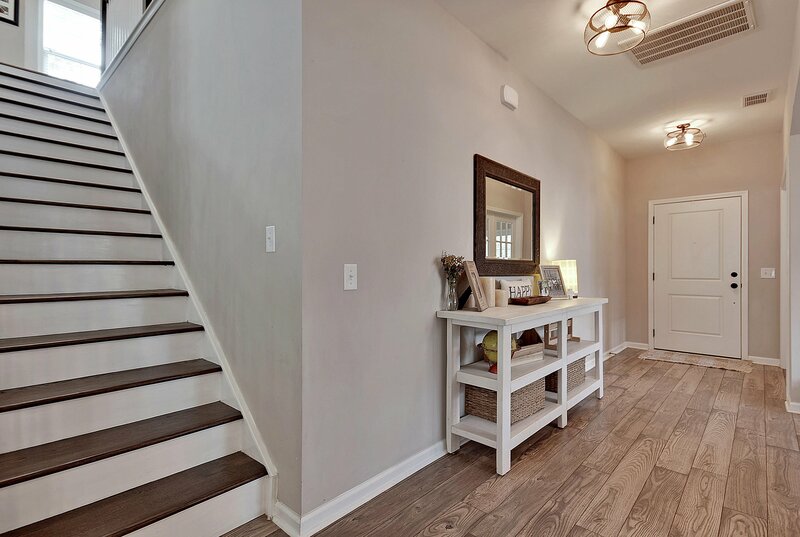 As the foyer ends, this floor plan explodes open with your gourmet kitchen, eat-in dining area, and family room. 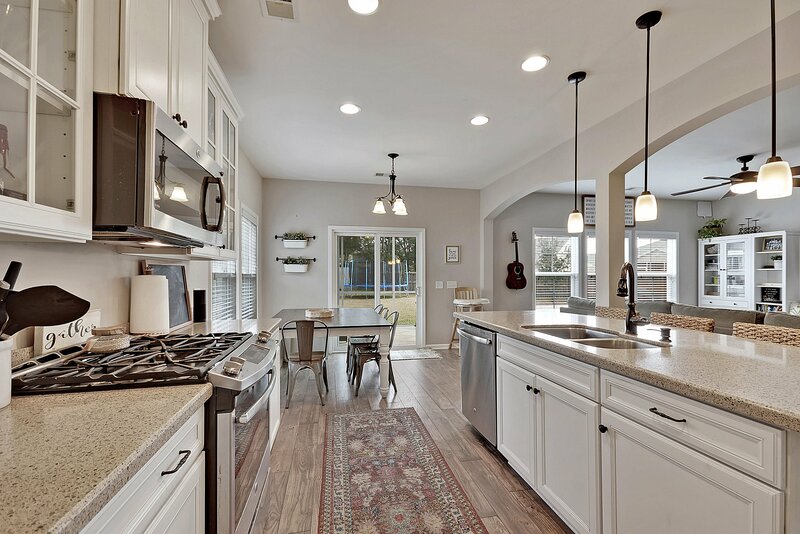 This kitchen was designed for those who love to cook and/or entertain. 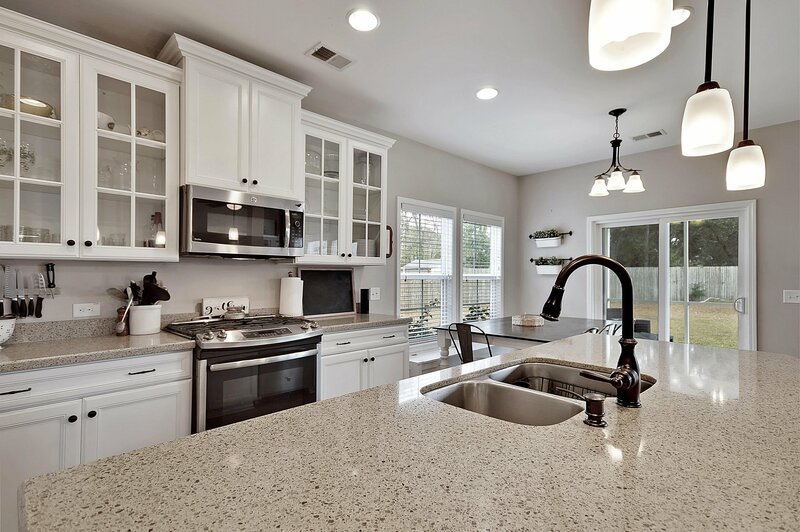 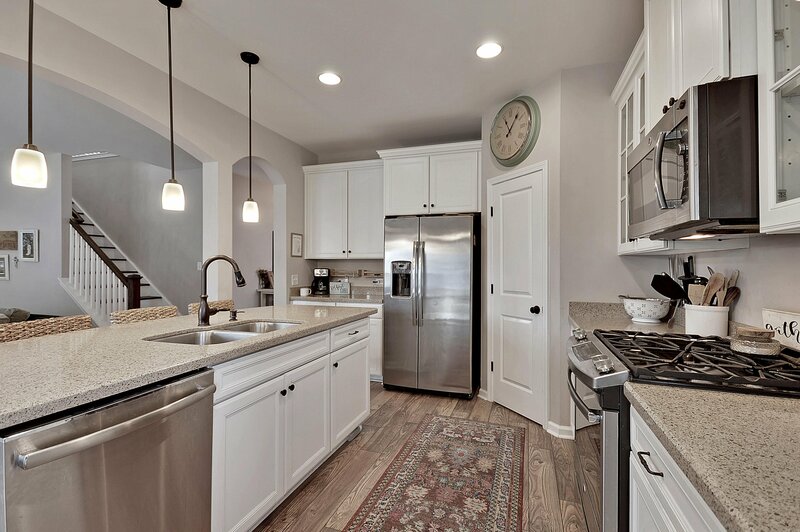 It features an over-sized island, quartz countertops, gas range, walk-in pantry, and striking white cabinets that would make Chip and Joanna proud! 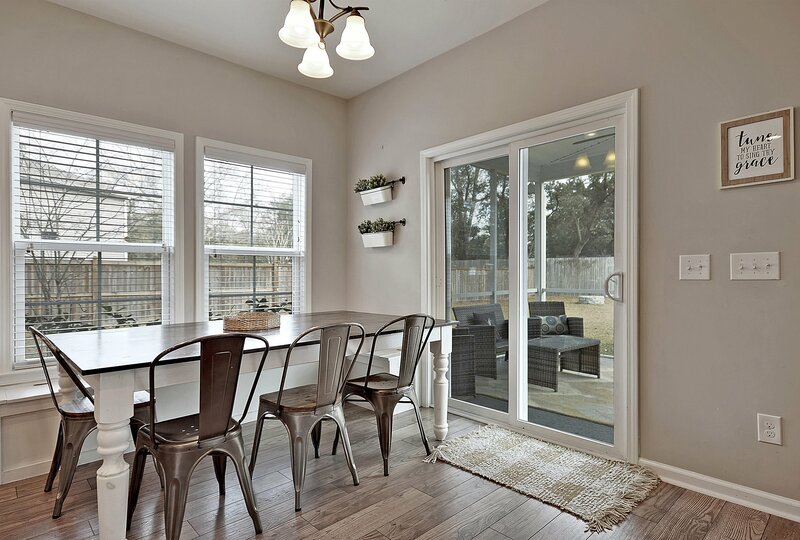 Just off the kitchen, is your eat-in dining area complete with custom-built bench seating that includes extra storage. 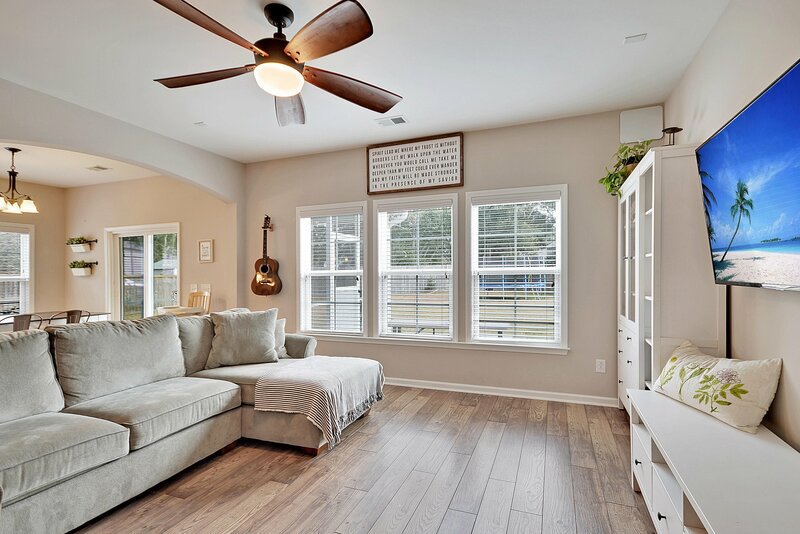 Through the arches, from the kitchen, you will find your family room with added windows to allow the morning sun to pour in as you sip your coffee. 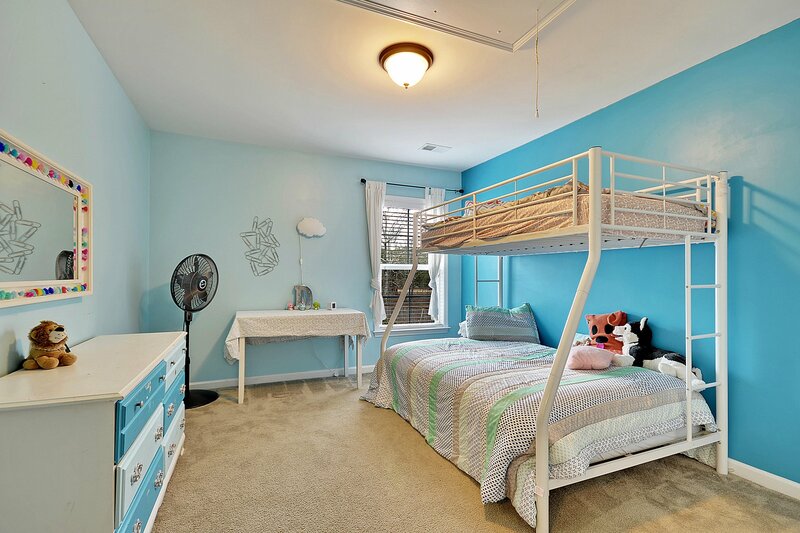 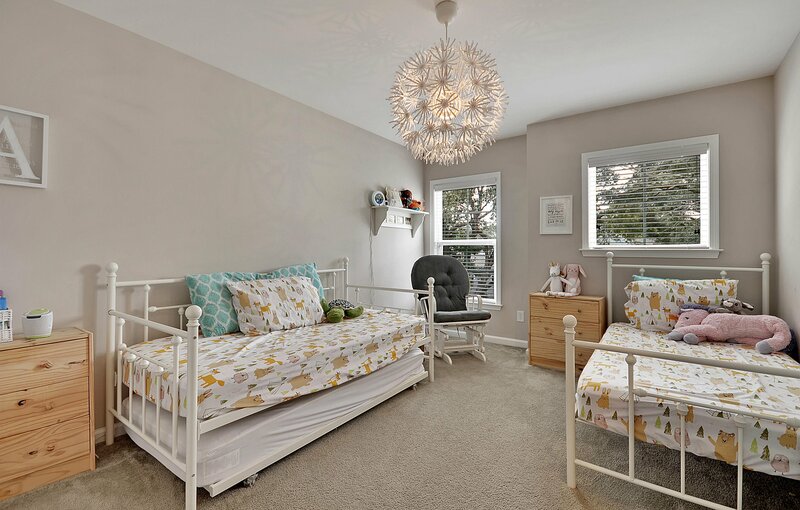 Just off the family room, is the 5th bedroom, a full bathroom, and an extra storage closet. 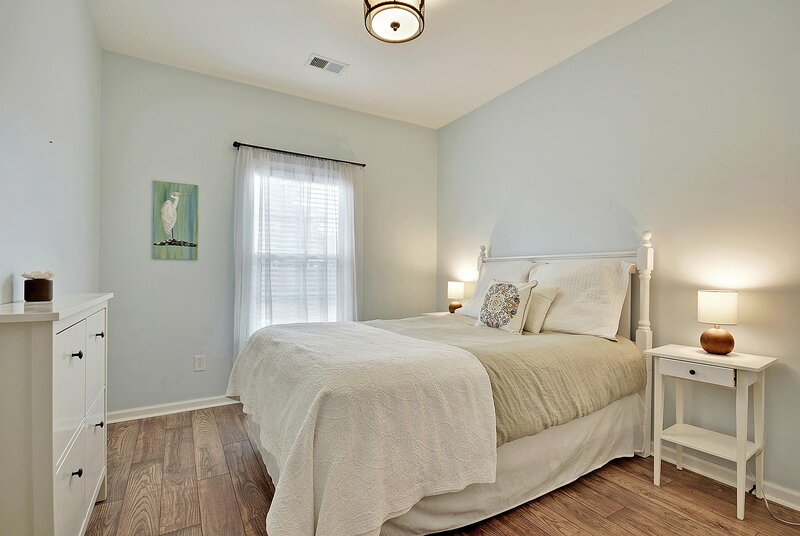 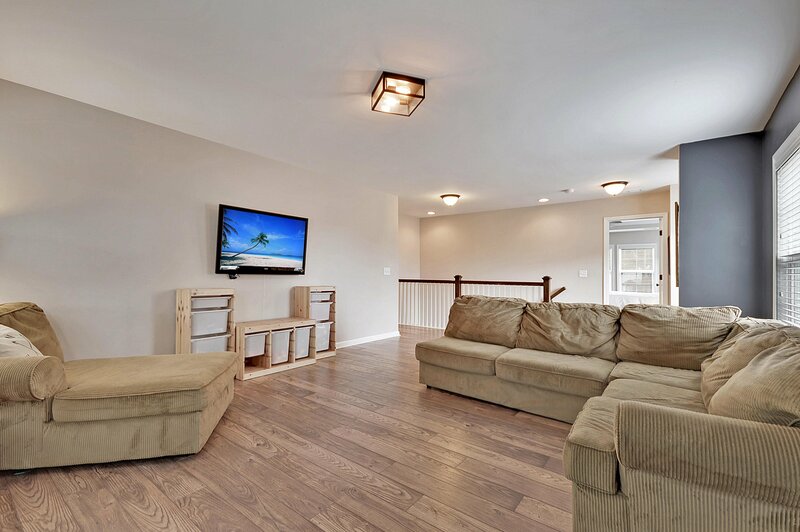 When the day is done and it is time to rest your weary head, you will climb your wood-tread stairs to find your Master Suite, a large loft with newly installed laminate flooring, 3 guest rooms, full bath with comfort height sink, and your laundry room. 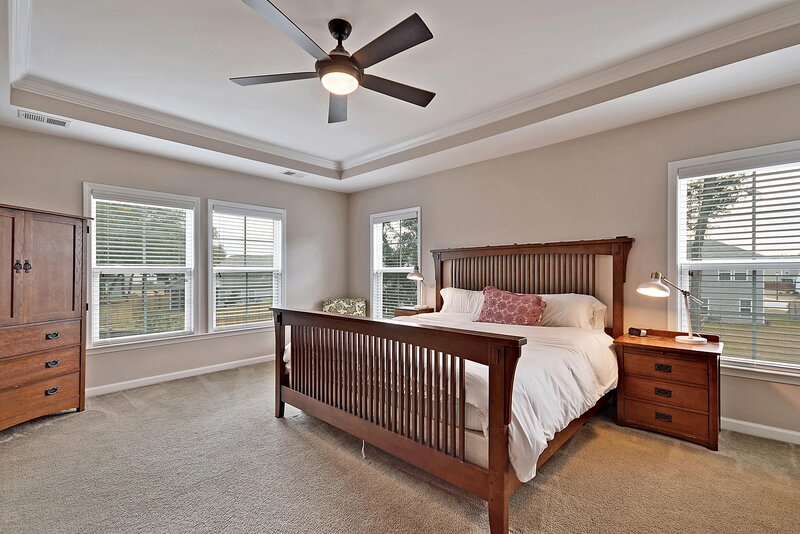 Your spacious Master Suite comes complete with a tray ceiling and numerous windows. 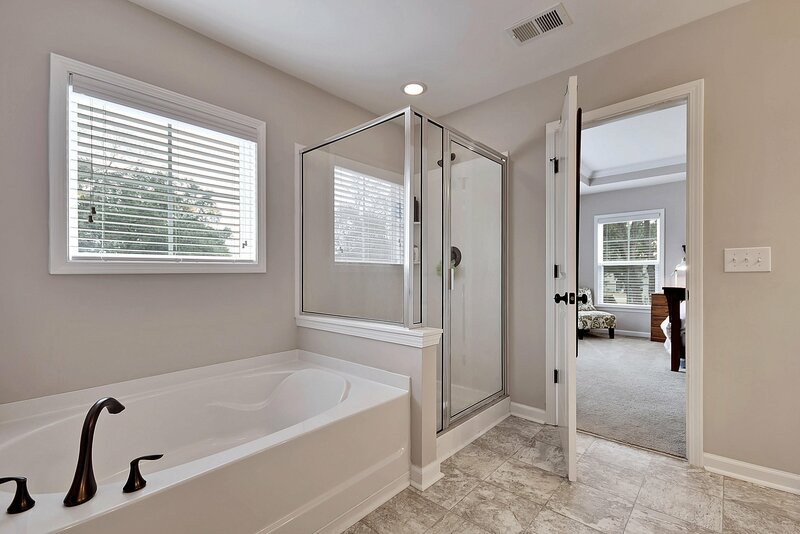 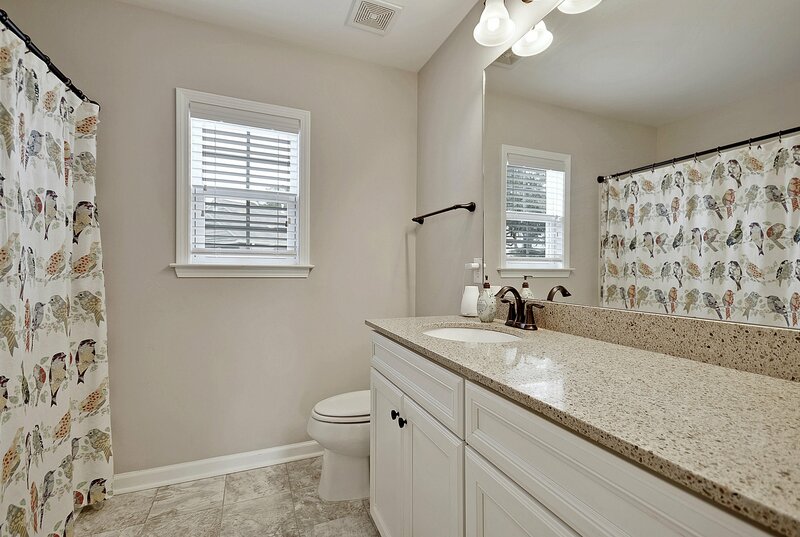 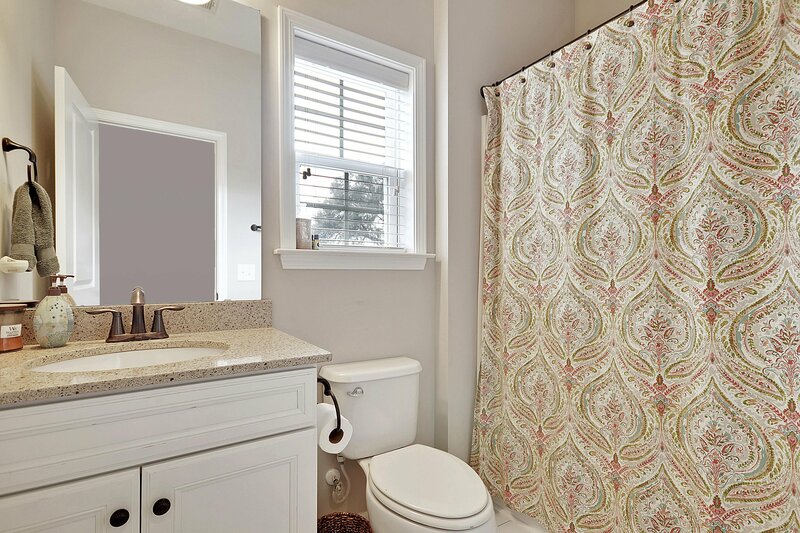 Your Owner's bath is decked out with a comfort-height dual vanity, soaking tub, separate shower, separate water closet, and over-sized closet. 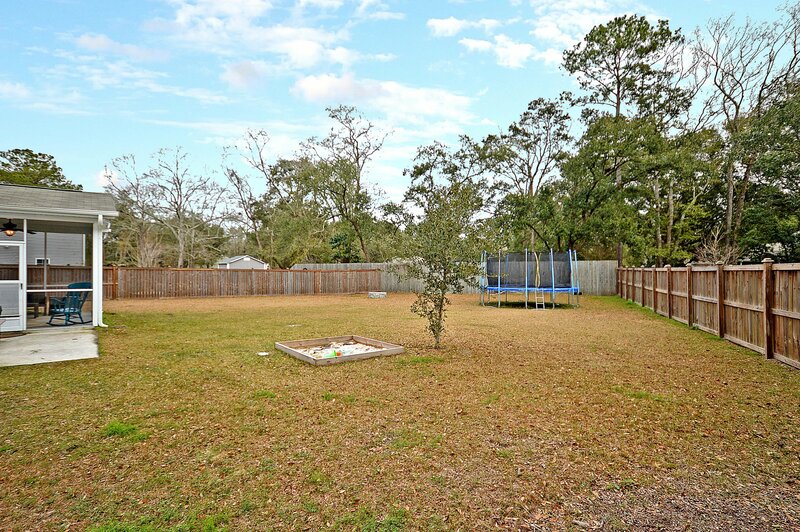 Wrapping the bow on this amazing property is the fully-fenced-in backyard. 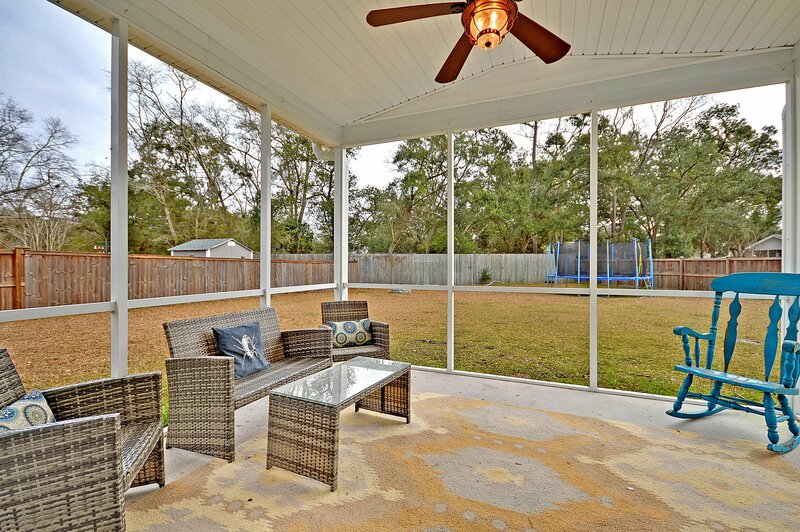 Whether you want to relax in your screened-in porch, roast marshmallows around the fire pit, host the post-Thanksgiving meal flag football game, or grill-out on the extra concrete slab(with integrated gas line), this backyard can accommodate all of it. 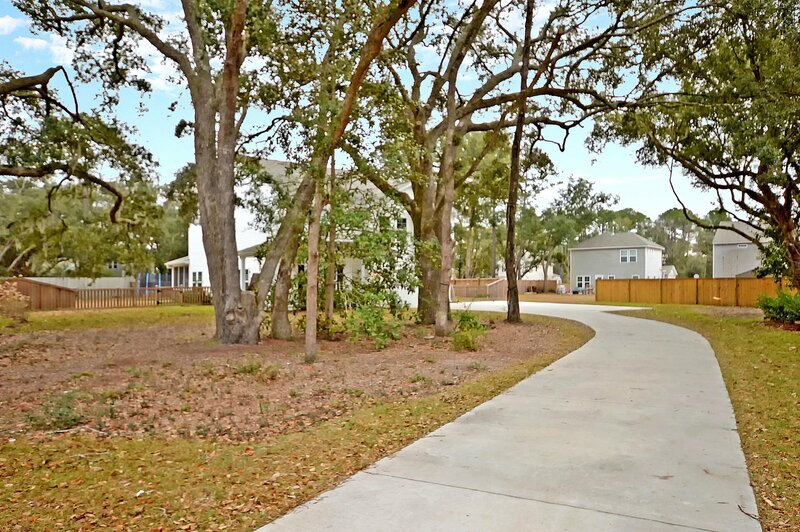 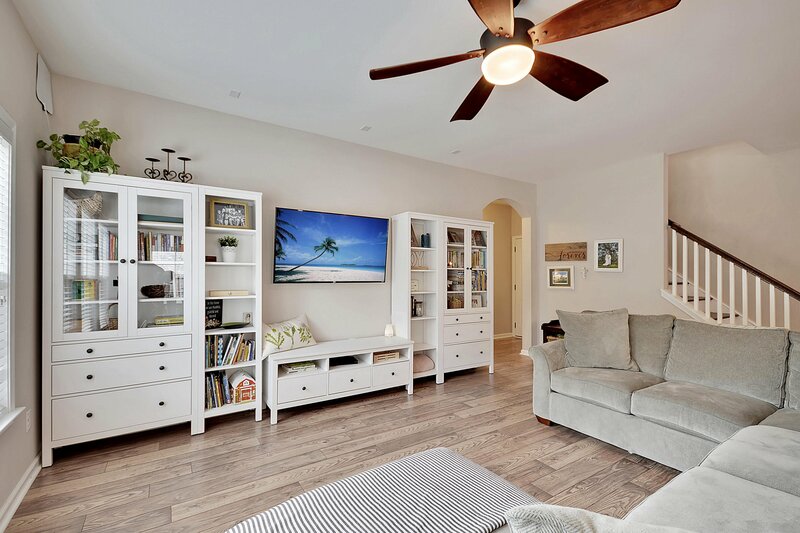 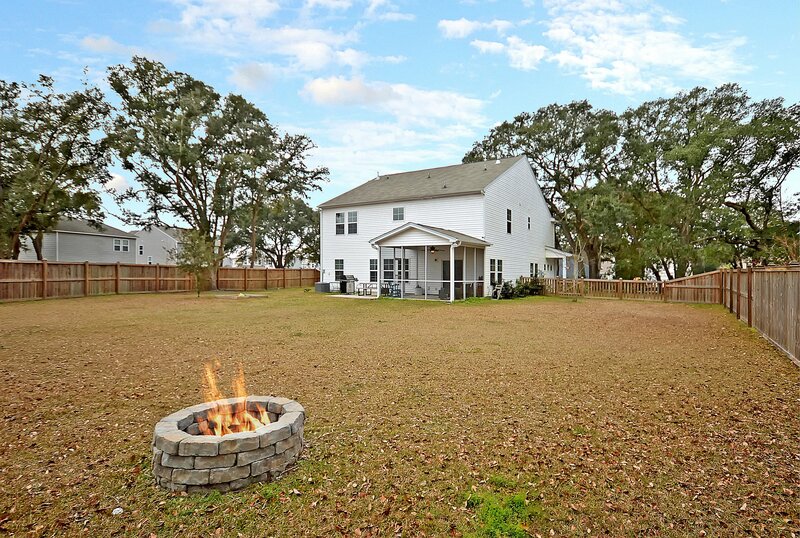 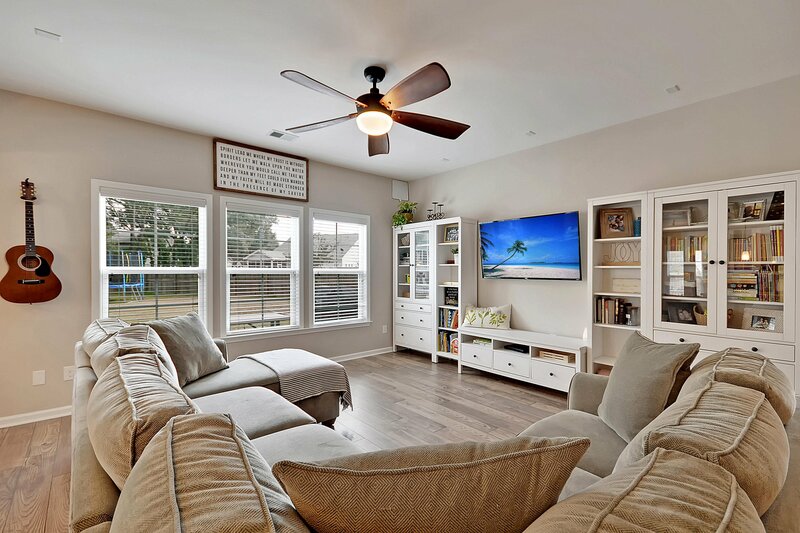 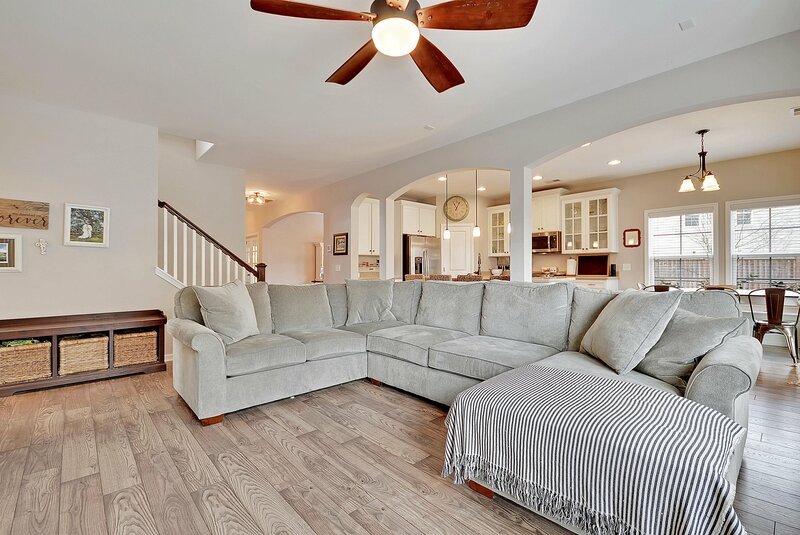 If you are looking for a house that embodies the beauty of Johns Island and the comforts of newer construction, 1607 Stovall Ct is where you want to call home. 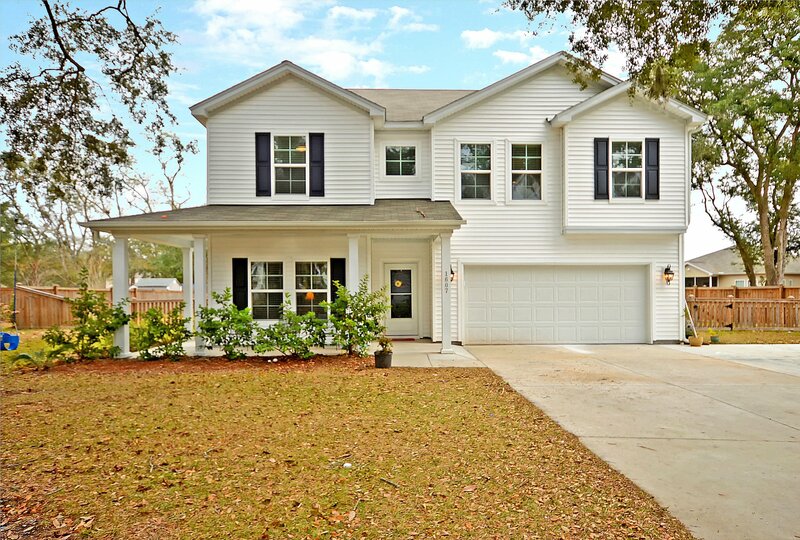 Listing courtesy of Ashley Cooper Real Estate, Llc.